Nearly 13 months after Central Information Commission (CIC) directed to issue Right to Information (RTI) stamps instead of Indian Postal Orders and bank drafts or cheques to seek information from government departments, the Department of Posts has said printing presses don't have papers to print stamp papers. On August 27, 2013, the CIC had clearly directed Secretary, Department of Posts, that "RTI applications be accepted in all its 25,000-odd post offices across the country and the RTI stamp of the denomination of Rs.10 be used instead of postal orders and this would be time and cost-effective step.'' But the postal department has its own set of reasons for not issuing the RTI stamps so far. "The issue of RTI stamps is under examination. A committee has been set up by the Secretary (Posts). All stamps are printed by India Security Press at Nasik and Hyderabad. But currently, both presses are out of stamp papers and the printing of postal stamps has been adversely affected by this. Hence, the matter be raised by the DOP&T with the CMD of Security Printing and Minting Corporation of India (SPMCI) Limited and the Finance Secretary under whose charge SPMCI Ltd operates,'' says the RTI reply by Postal Department. 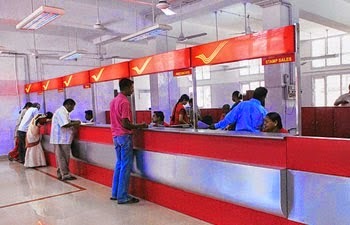 It also hinted at logistics hurdles as opening nearly 25,000 postal offices for this purpose would demand "dedicated manpower and official infrastructure, including computers, which requires cost. In fact, Department of Posts admitted that it has got "no manpower and extra remuneration even to execute RTI Act by accepting those applications and issuing postal orders for the same through its 4,700 designated post offices.'' The onus thus clearly falls on the government to give mandate, manpower and money to execute CIC direction in its right spirit.